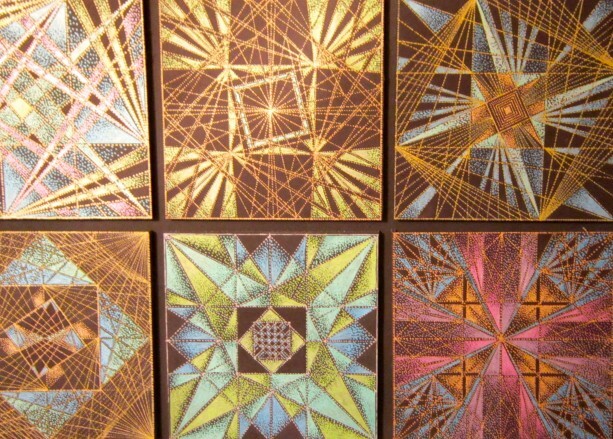 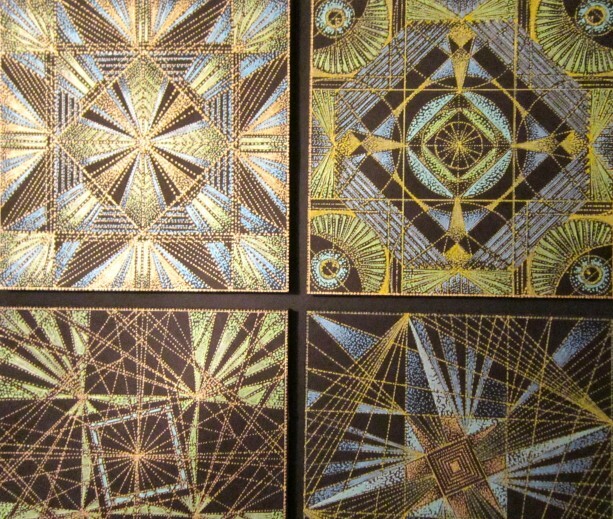 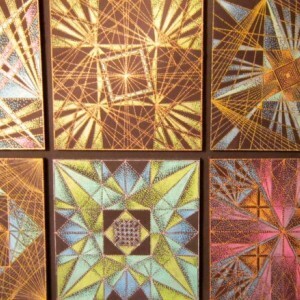 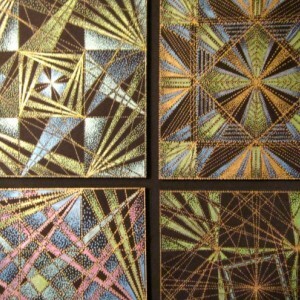 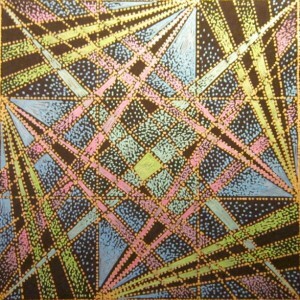 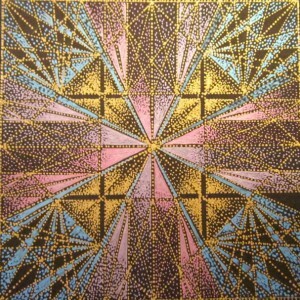 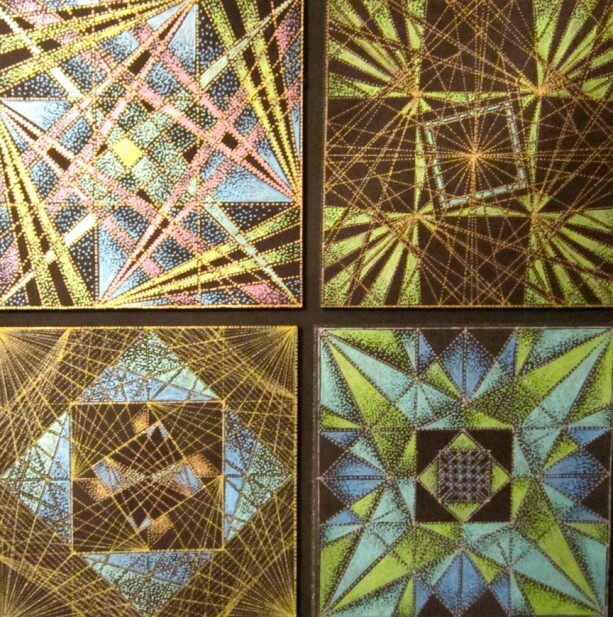 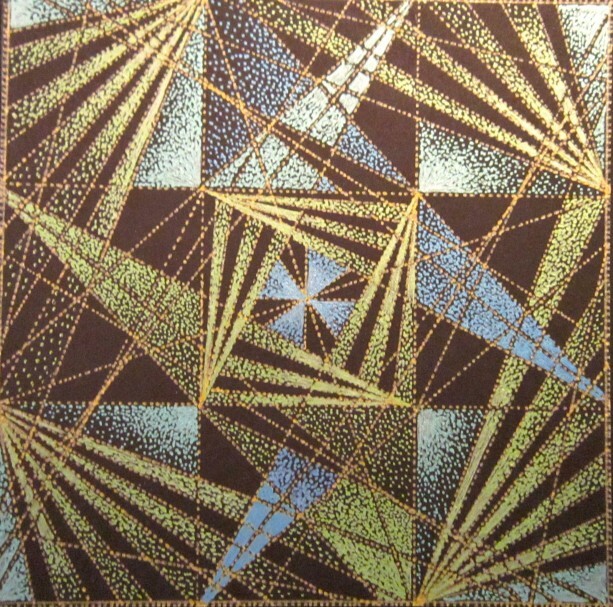 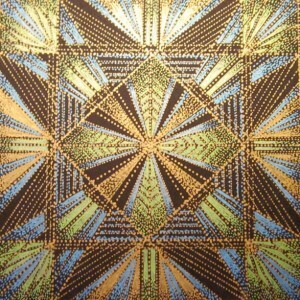 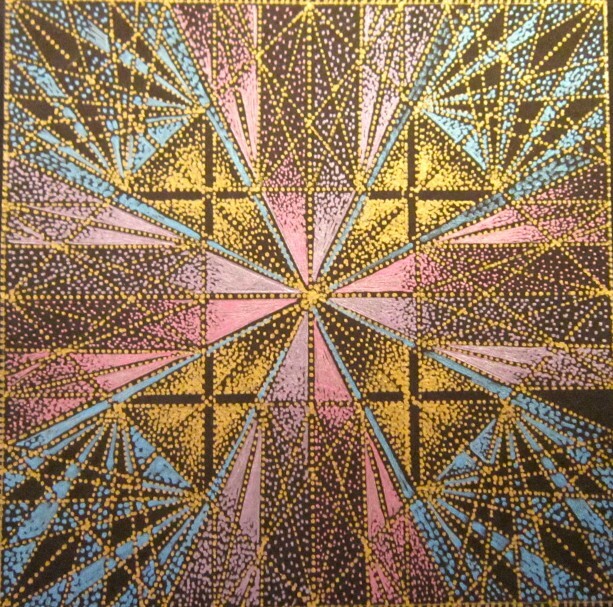 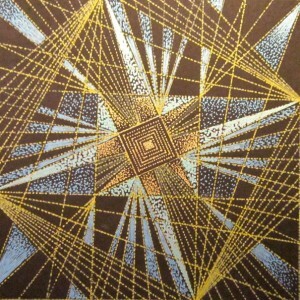 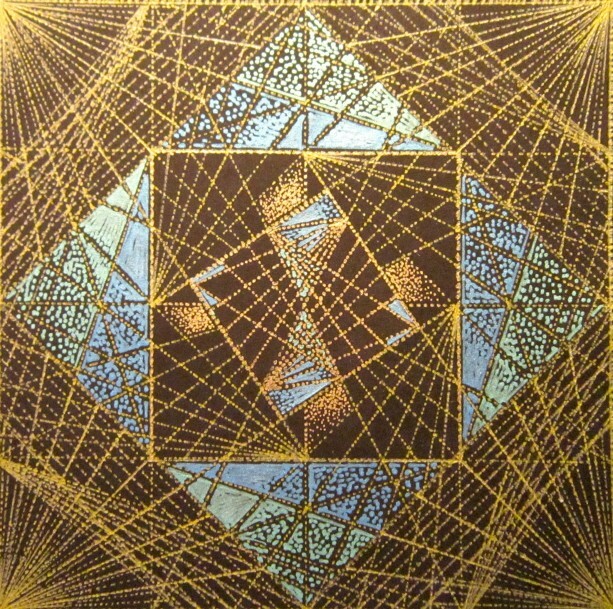 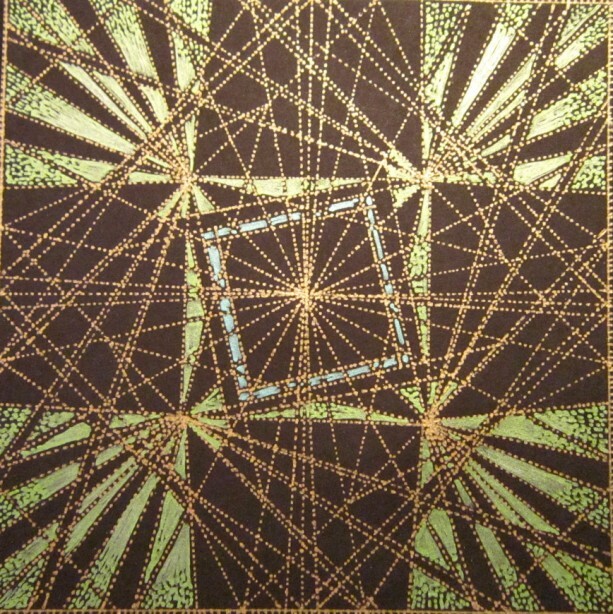 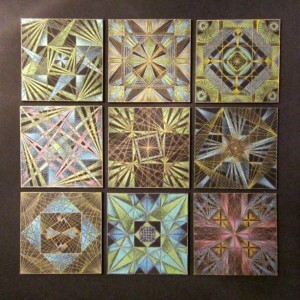 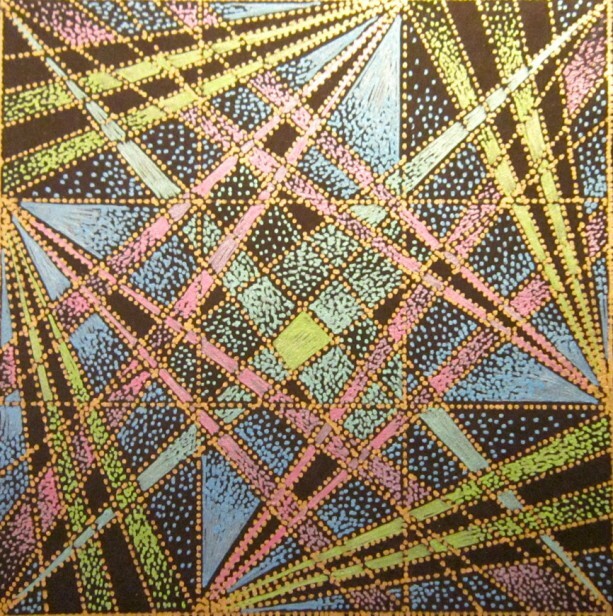 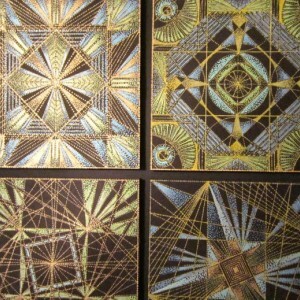 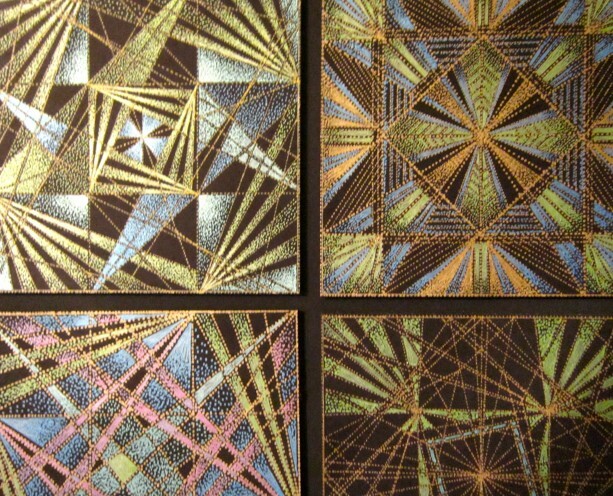 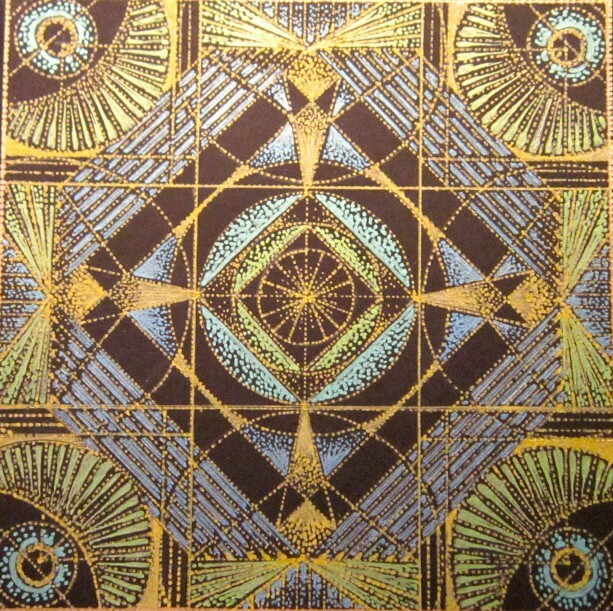 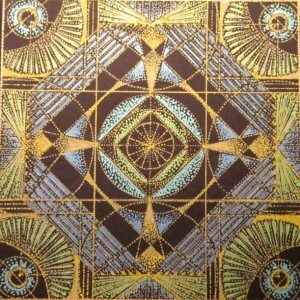 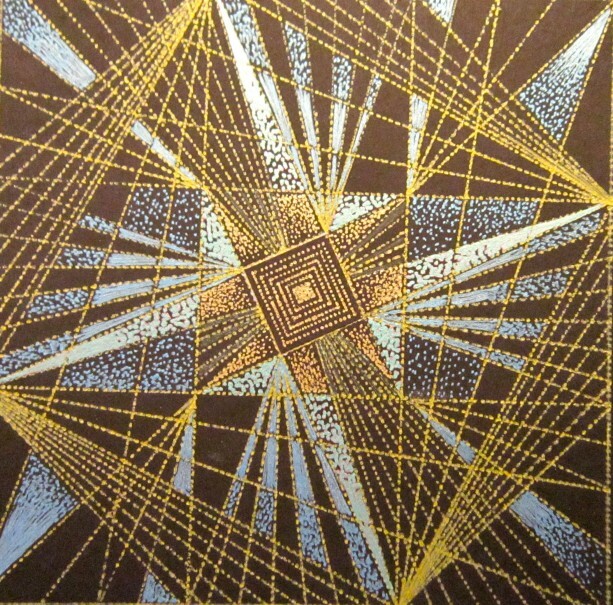 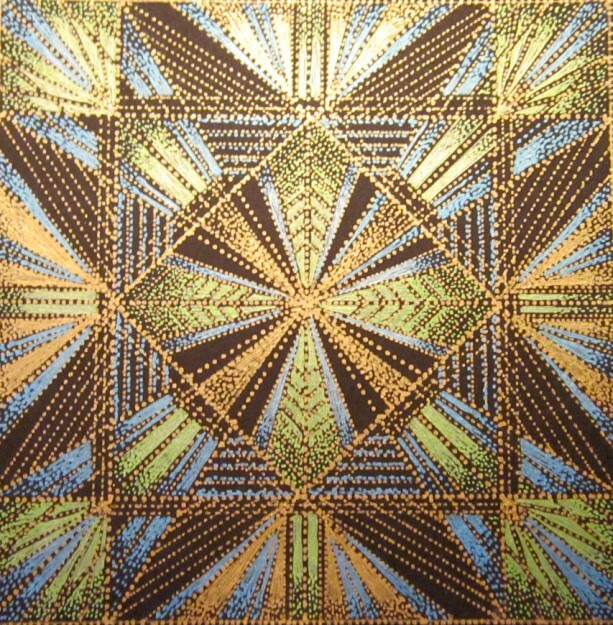 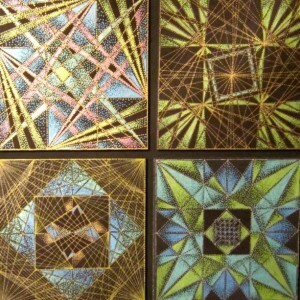 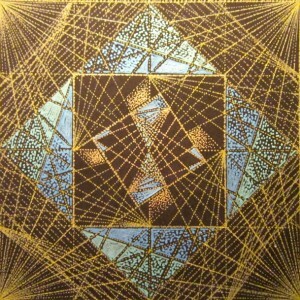 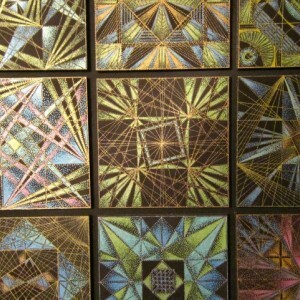 Nine "Points of Color" Metallic Ink Drawings - ""Mesmerization"
One art piece consisting of nine intricate geometric outline drawings done entirely with a pen in metallic dots. 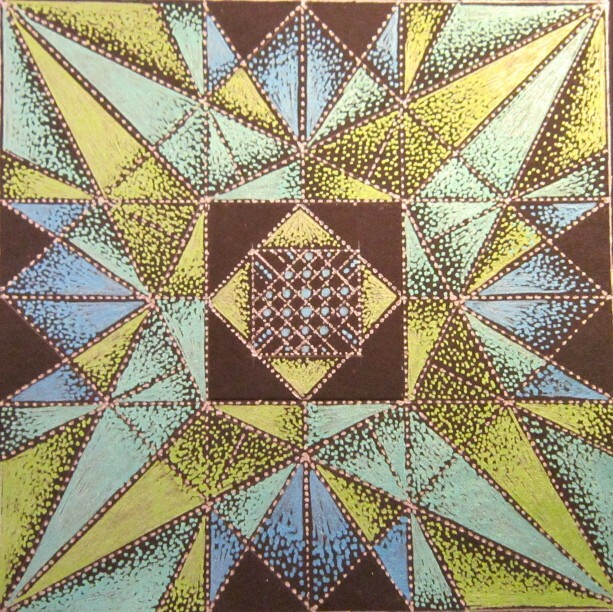 Bright metallic colors are used to fill in and shade, with dots, selected areas of the geometric shapes creating a dimentional quality to the drawings. 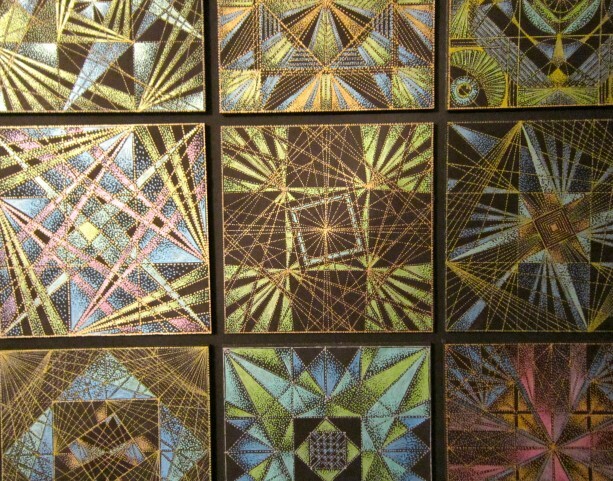 The nine individual drawings are mounted on black foam core and arranged on a larger piece of foam core for the final piece, unframed. 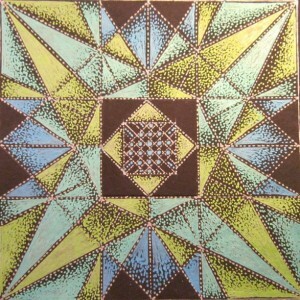 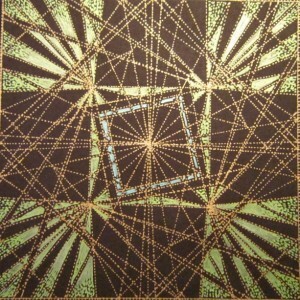 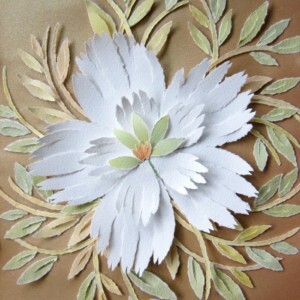 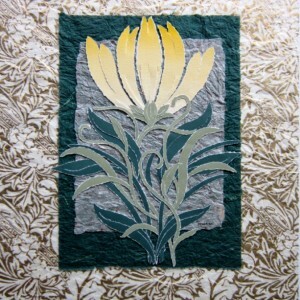 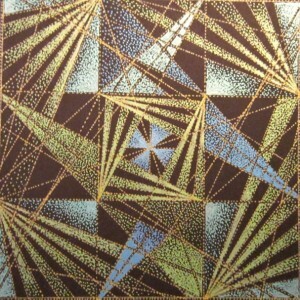 Size is 18 3/4 " X 19 3/16".